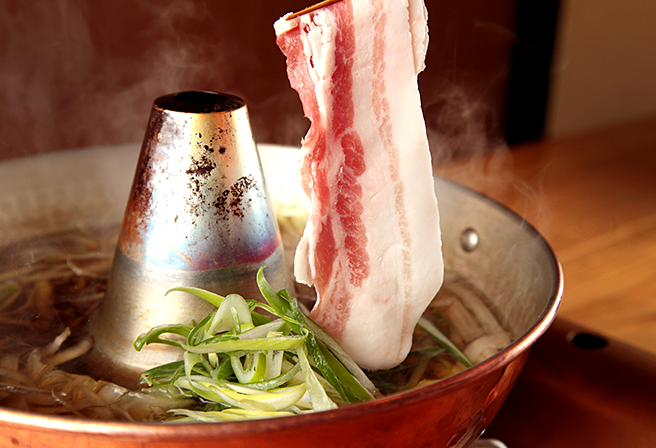 Pork is one of the essential ingredients in Okinawan cuisine. 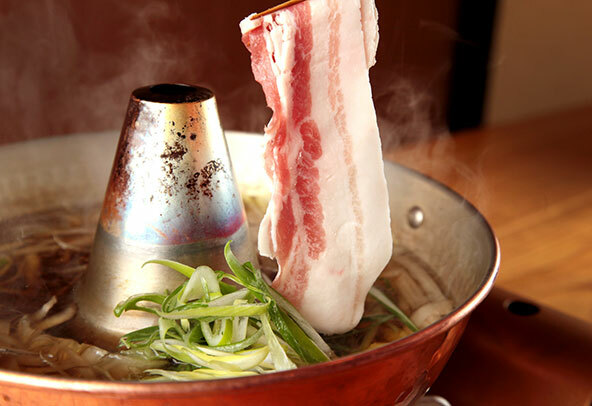 For example, the “Soki” in Okinawan soba is pork rib. Also, popular menu items in izakayas such as “Mimiga,” “Tebichi,” and “Nakami” are pig ear, feet, and intestine respectively. This saying expresses how much pig parts are used in Okinawan cuisine. 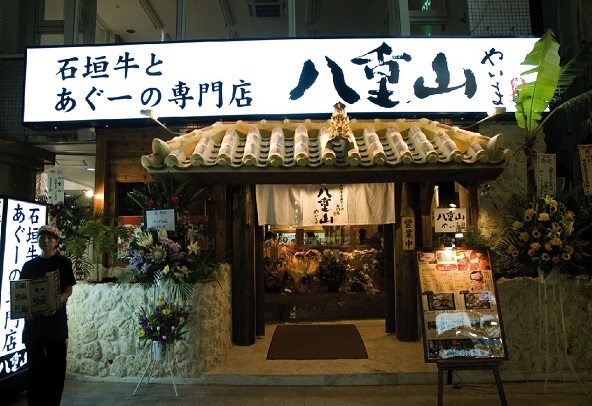 Out of the many brands in Okinawa, “Agu” is the most popular and rich tasting pork. Agu has a long history and it is said that it was first imported from China 600 years ago. A full grown Agu weighs approximately 100 kilograms, and is quite small compared to the pigs bred in Western countries. It is highly valued because of its slow growth rate. Although its highly valued, it is very popular because of its soft quality meat and sweet, flavorful fat. Compared to other pork, Agu has a high level of marbling. 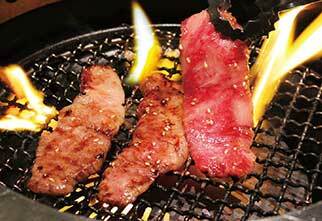 The fat of Agu has a low melting point and the meat melts in your mouth. The best part is that even though it has ¼ of the cholesterol in common pork, it is 3 times as rich and flavorful, and contains plenty of collagen. Agu is highly nutritional, very healthy, and good for beauty- an ideal pork product. It is also expected to have fatigue recovering effects, so please try some during your visit here in Okinawa.